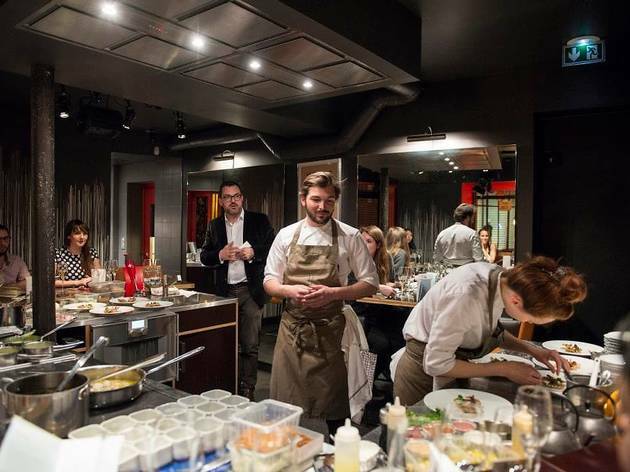 Sixteen guests, one chef and at least one Michelin star – this is the premise of Table Ronde, the swanky Parisian dinner club du jour. Based in the Marais, the club draws the curious and the prosperous with its experimental menus of contemporary cuisine, courtesy of a rolling lineup of cutting-edge chefs. The emphasis is on transparency: the venue (designed by architect Bruno Borrione) is laid out such that the diners sit face-to-face with the chef as (s)he cooks, and a dialogue between the two sides is encouraged. The King Arthur in question is Nicolas Chatenier, creator of the culinary marketing agency Peaceful Chef, and one of the best-connected guys in the field. If it's modern, progressive cuisine you're after, he's your man. 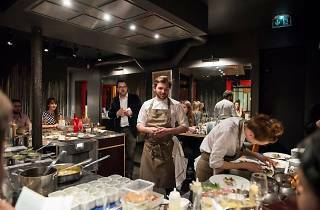 Table Ronde hosts around three to four dinners per month. Reservations essential.